Enter the promo code "EDLTW148" during cart checkout to enjoy $148 discount off the 28 Days Double Package. 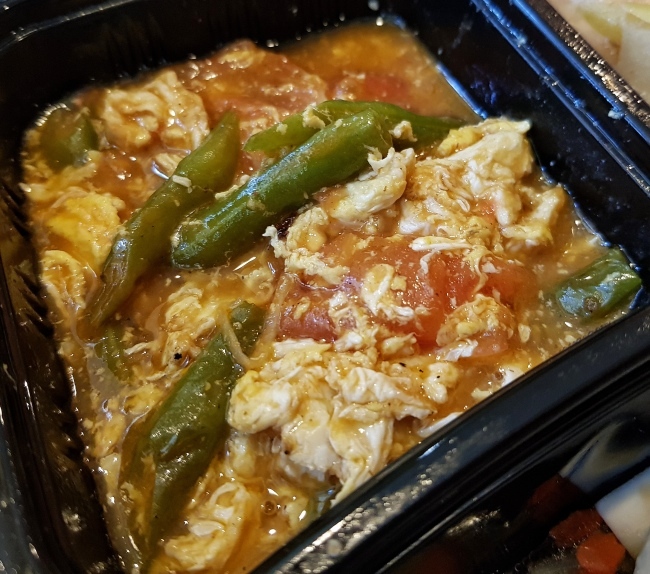 Ordering Confinement Meals is now a popular choice among many new mummies. 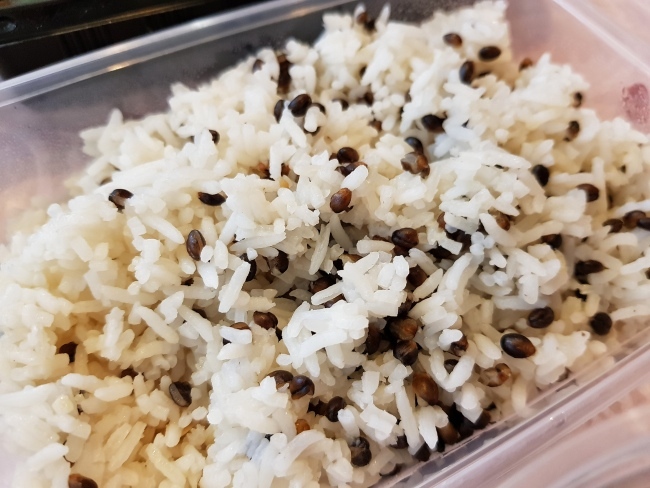 Often, people always feel that confinement food is all very traditional chinese food. Hence, some mummies do not want to eat them. I believe that the confinement period is an important period of time to rest and replenish their bodies. Confinement meals will help to replenish the mummies health with the essential vitamins and minerals. 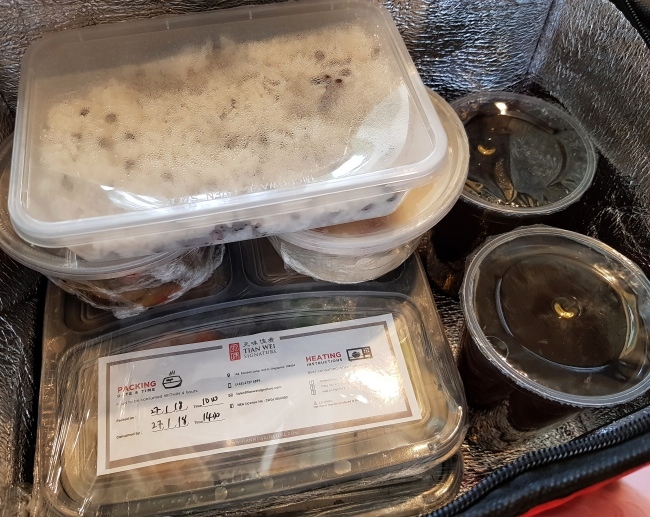 Tian Wei Signature Confinement Food Catering (tianweisignature.com) not only offer healthy and tasty confinement meals. They also come with a Japanese or Mediterranean twist. This will give the mummy a refreshing nutritious confinement menu. This will improve the mummy wellbeing and keep energy levels high. They have also designed their menu to help in the lactation which will help your supply of breast milk. You can take a look at their menu here. They will deliver lunch from 10am – 1pm and dinner from 4 – 7 pm. The food were warm when they arrived. A Thermal bag is allocated to each customer. You will need to return the thermal bag to their delivery personnel on a daily basis. Their meal comprises of 1 Greens + 1 Meat (Chicken/ Pork/ Fish) + 1 Litre of Red Date Tea + 1 Staple + 1 Soup/Dessert. You can also make special requests like No Broccoli/ Snow Peas/ Spinach/ Fish Maw/ Pork/ Liver/ Kidney/ Pork Trotter Vingear/ Hong Zhao Chicken. Some people don't take chicken and egg for the first 2 weeks as they believe that it may not be good for the healing of wounds. After you made the order with them, you can just contact them one day in advance (between 9am to 2pm) to commence the delivery of meals. Their Menu may vary without prior notice due to unforeseen seasonal nature and market fluctuation on the ingredients. If you need to cancel the meal you will need to contact them one working day in advance before 3pm to notify the cancellation of meal. They will replace all the cancelled meals. I always enjoy their dishes as they are nutritious and delicious. They are also not too salty and oily. Their longan red date tea has hints of herbal sweetness. Tian Wei Signature has added a few new dishes to their confinement meals. Many thanks to Tian Wei Signature for sending them for my review. 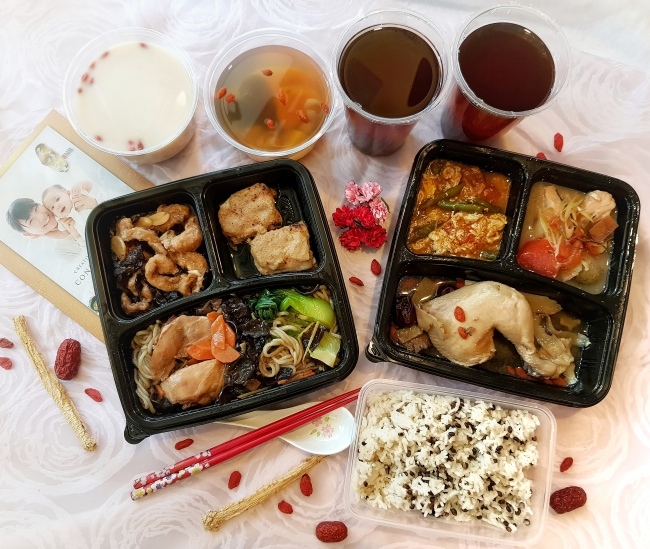 Before you purchase their package, you may consider to order their trial meal (Tian Wei’s Signature Dishes in Bite-Size) at S$40 to try it out first. 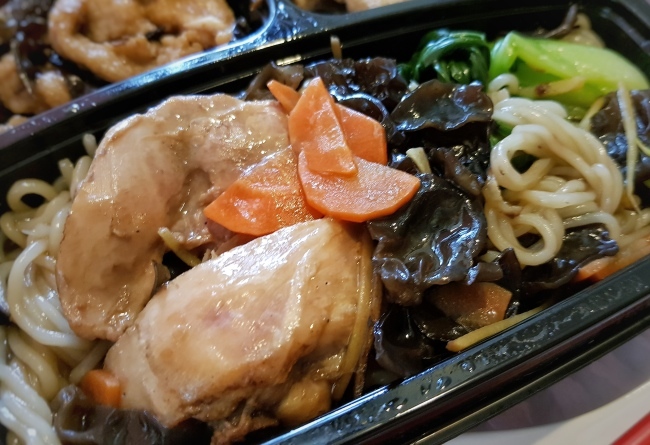 They also offer normal trial meal (lunch/ dinner) at S$30. This dish helps to improve blood circulation and build up vitality. Love this! It is very refreshing to use sweet potato vermiceli as it is more chewy than the other noodles. The chicken slices were also very tender. I understand that cumin is good for digestion problems like gas. It helps to relieve bloating. 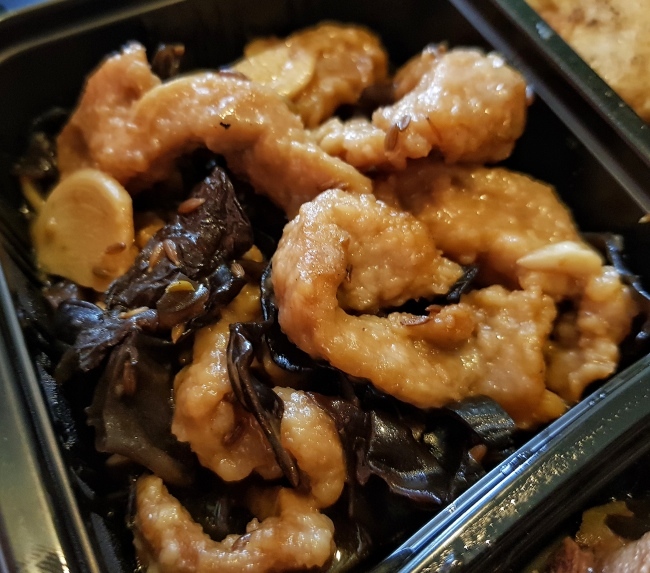 The pork slices were tender and I love the crunchy black fungus that come with them. Black Fungus is good for cleansing the arteries. Miso is a made from fermented beans and has been part of Japanese diet for thousdands of years. It contains beneficial bacteria which improves digestion, reduces gas and help to prevent inflamation. 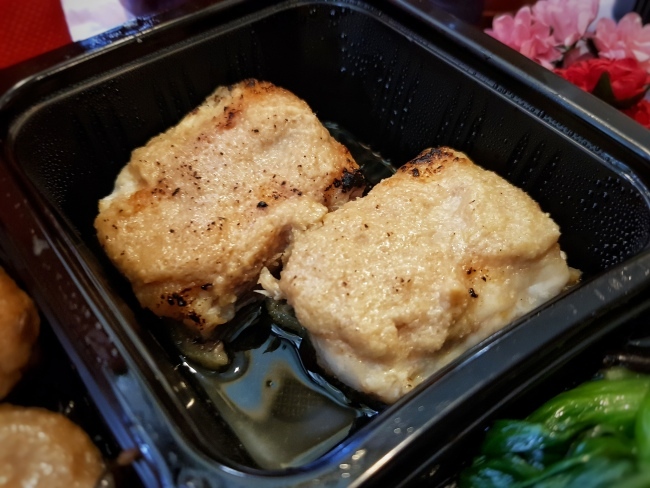 Threadfin is also one of the fishes that helps to increase good cholesterol level. The fish is flavourful. I will prefer to have some sauce to go with the fish. My ALL-TIME FAVOURITE FISH SOUP. Green papaya is very very important during breastfeeding. I understand that papaya helps to speed up recovery from childbirth and most importantly it regulates the breast milk supply. It is also a great source of essential vitamins and minerals. Hence, it is always highly recommended for nursing mothers. Papaya is also a super food that can boost not only the quantity but also quality of your breast milk. It is not too salty and does not have any fishy smell. The chicken is braised with herbs. Red dates are an great source of iron, and help to replenish red blood cells. Chinese Angelica root (Dang Gui) is also great to nourishes and replenishes the Blood. 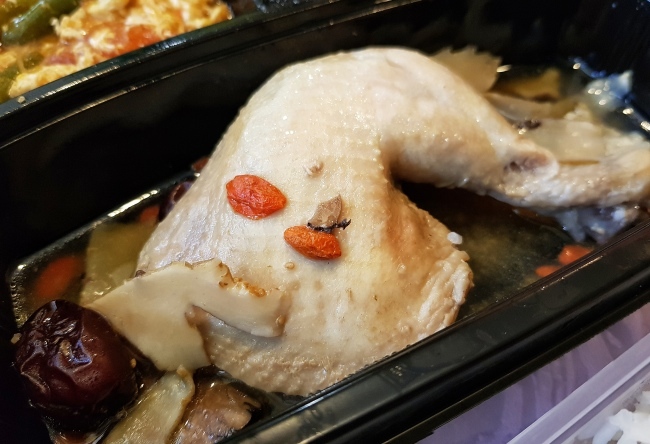 The herbal chicken was very tender with hints of herbs flavours. French Beans is a good source of vitamins and folic acid. I like its crunchiness with the egg and tomato. However, I will prefer it with less gravy. I understand that salmon is contains the brain-boosting DHA. This is important as the DHA will passed to the baby through the breastmilk. I like that they have cooked it with Thai Lemongrass which is also good in relieving digestion problems. This is a very appetising dish. 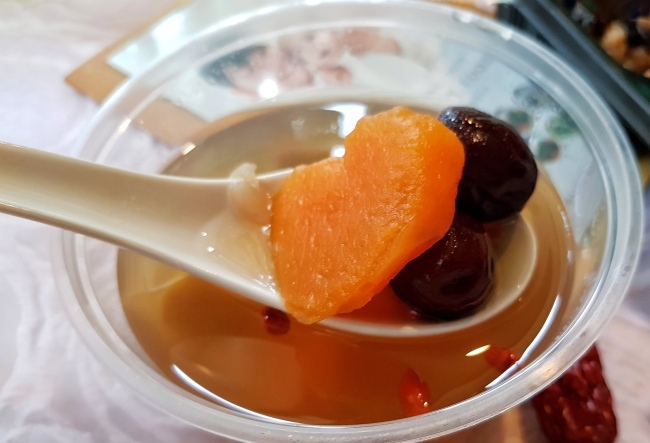 Longan fruit is a great source for vitamin C and Minerals like iron. It is often an important ingredient used in confinement meals. Love that the menu include dessert. Dessert is always a sweet ending to a meal. The soup is not too sweet. Just right for me! Wow heard that Black Barley is a superfood. It will benefit our skin and keep us looking younger! So cool! It has a bit of a chewy texture. Ordering confinement meals is a great choice. It save my family a lot of effort of cooking and cleaning. 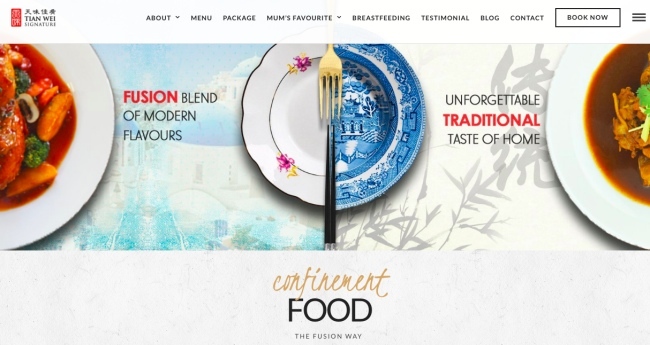 I like that the confinement meals by Tian Wei Signature Catering are delicious and nutritious with a refreshing ocassionally Japanese or Mediterranean twist. I especially enjoyed the BRAISED SESAME CHICKEN WITH SWEET POTATO VERMICELLI. 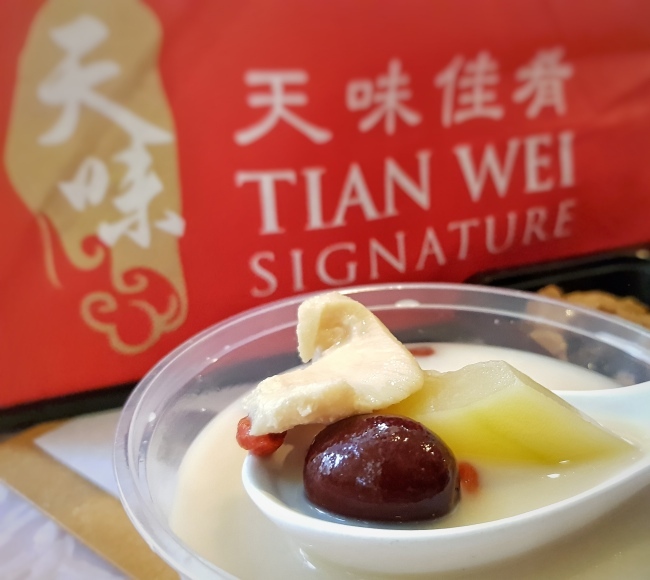 Tian Wei Signature is especially great for ladies that are not able to accept eating traditional confinement food for the entire confinement period. 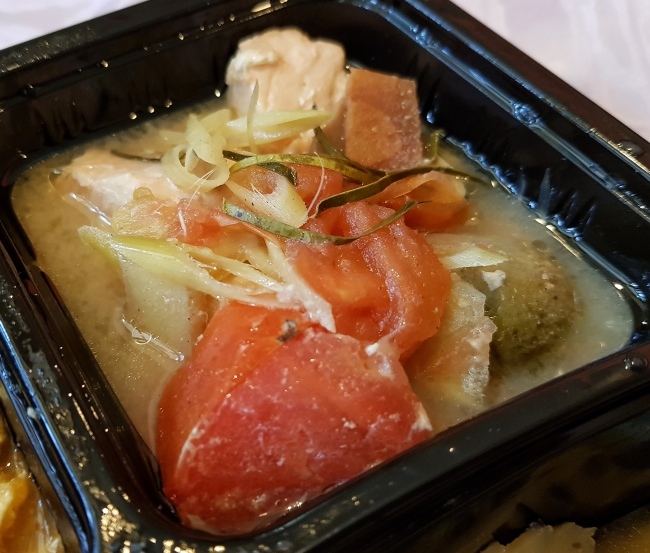 Tian Wei Signature Catering published their confinement meal menu. You can take a look at their menu here.